Fly fishing reflections are a good way to begin planning for the new year. In this episode, we look back on 2017 and discuss its lowlights and highlights. We both want to fish more days in 2018, improve a couple areas of our fly fishing craft, and, hopefully, catch more fish. Life really is short. Catch more fish. What were some of your highlights in 2017? What are some of your aspirations for 2018? We look forward to hearing your comments! By the way, we’d love for you to refer our podcast to a friend, your TU chapter, or fly fishing club. Be sure to pass along our podcast to others. 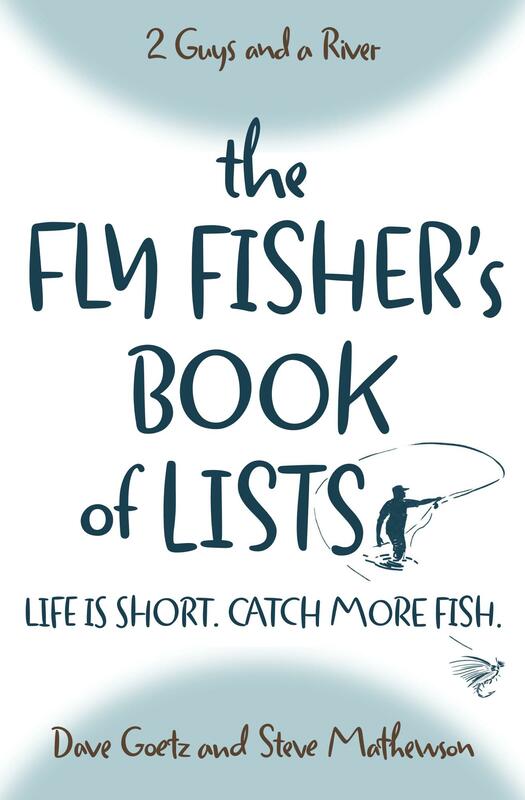 One person who purchased the book called it “Cliffs Notes” for fly fishers. Buy it today on Amazon for only $16.99! My wife and I make a point of trying to get our first fish of the year on New Year’s Day. Last year she got one little brookie, but I got skunked. While we were fishing, we saw two other angler’s working their way up the stream; I said to my wife, “who else is stupid enough to be out here fishing is this cold?” Turned out it was a couple of friends of ours and they had a thermos of hot chocolate.